SMA hosted a speaker session presented by Mr. Howard J. Shatz (RAND), Mr. James Dobbins (RAND), and Mr. Ali Wyne (RAND) as a part of its SMA Future of Global Competition & Conflict Speaker Series. Mr. Dobbins first stated that the 2018 National Security Strategy described the challenges that the US faces from China and Russia in identical terms. He expressed the team’s concern about this oversimplification and stressed the need for illuminating similarities and differences between the threats. Russia is more of a security threat, according to Dobbins. It is trying to erode various aspects of the current world order and wants to displace the US and challenge its leadership. On the other hand, China is more of a geoeconomic threat. It aspires to compete against the US with the end goal of replacing it as the world’s leading power. He then stated that, in order to meet the challenge presented by Russia, an updated version of Cold War strategy is required. 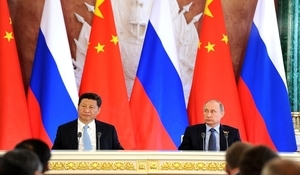 In order to meet the challenge presented by China, a more comprehensive approach is required. Mr. Shatz proceeded to describe the nature of the challenge presented by China, highlighting that the nation is attempting to upgrade technology, internationalize, and create better connections with the rest of the world in order to gain power and influence. He discussed China’s ‘Made in China 2025’ plan and ‘Belt and Road’ initiative, as well as China’s efforts to increase productivity. Mr. Shatz described what an appropriate US response should look like. He stated that the US response must be geoeconomic and emphasized the need to enforce norms, to form partnerships through assistance and people-to-people exchanges, and to increase connectivity with the rest of the world. Mr. Wyne then discussed how China is a resurgent power with an economic footprint and a selectively revisionist attitude. He stated that China is agnostic about certain elements of the world order and would rather establish a parallel world order than a new one. Russia, on the other hand, is a structurally declining power, according to Wyne, and it is more opportunistically destructive and disruptive due to its inability to adequately compete. Mr. Wyne concluded the presentation by highlighting the asymmetry evident in the relationship between Russia and China and the need for the US to recognize this asymmetry when making policy decisions.